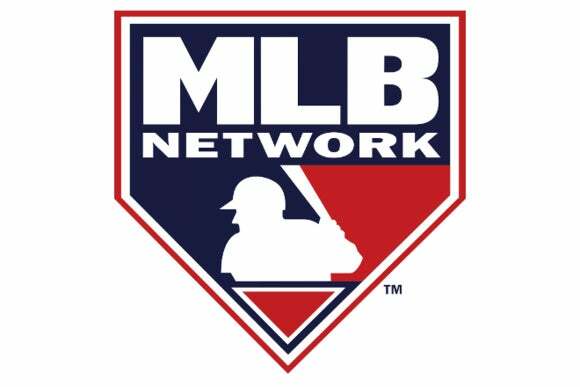 The MLB Network is available for live streaming 24/7, but only for pay-TV subscribers. No professional sports league has embraced online audiences as heartily as Major League Baseball. Now baseball is taking another leap forward by launching live streaming of its MLB Network to computers and mobile devices running its popular At Bat app. But there’s a catch: Subscribers must prove that they’re also signed up with a pay-TV service; cord cutters (and anyone living outside the U.S.) are excluded from the offer even if they’re paying for MLB.TV Premium. So far, the list of participating service providers includes AT&T U-Verse, Bright House Networks, Cablevision/Optimum, Cox, DirecTV, Dish Network, Time Warner Cable, or Verizon Fios. Notably absent from the starting lineup: Comcast and Charter Communications. After entering a username and password combo from one of the above cable providers the MLB Network stream will begin. This is similar to what happens with Fox Sports Go and its NFL live streams of regular season games. MLB Network live streams offer 24/7 online access to the sports channel, including all studio shows, original programming, and game broadcasts. Local blackout rules, however, still apply. The MLB says the launch is the “first time that a league-owned TV network will offer a live, authenticated stream of its programming.” That’s kinda, sorta true. For years, the NFL has offered live streaming of the NFL Network and NFL Red Zone during the regular season to football fans outside of North America—or those inside the continent with a really good VPN—via the NFL GamePass streaming package. DirecTV subscribers also get to stream the Red Zone channel through NFL Sunday Ticket. The impact on you at home: The fact that the MLB Network is live online is a big step forward, and there’s always a chance the channel will embrace cord cutters in the future. Perhaps the MLB will strike up deals similar to what HBO has done with HBO Now, which is available to both mobile device users (currently restricted to Apple products) and Optimum broadband subscribers. The ideal offering, of course, would be if MLB.tv Premium subscribers got online streaming access to the MLB Network during the regular season, similar to what the NFL offers overseas. For now, cord-cutting baseball fans will have to sit tight or resort to borrowing someone else’s login details.